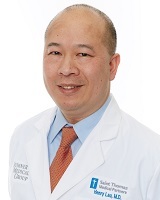 Dr. Lau joined Sumner in 2007, and lives here with his wife, 2 daughters and a zoo-full of pets. Hobbies include cooking, traveling and sports. He's trying to learn to like country music, but so far has not been successful. He enjoys traveling, movies and all sports.